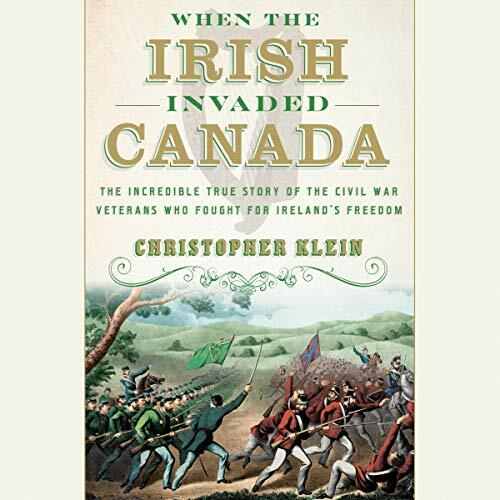 By the time that these invasions - known collectively as the Fenian raids - began in 1866, Ireland had been Britain's unwilling colony for 700 years. Thousands of Civil War veterans who had fled to the United States rather than perish in the wake of the Great Hunger still considered themselves Irishmen first, Americans second. With the tacit support of the US government and inspired by a previous generation of successful American revolutionaries, the group that carried out a series of five attacks on Canada - the Fenian Brotherhood - established a state in exile, planned prison breaks, weathered infighting, stockpiled weapons, and assassinated enemies. Defiantly, this motley group, including a one-armed war hero, an English spy infiltrating rebel forces, and a radical who staged his own funeral, managed to seize a piece of Canada - if only for three days.